When my children were in their teens we moved into a private home. We were renting the unit on the first floor. The house was on a quiet tree-lined street where kids and families often got together for play and conversation. After a couple of months, the weather began to change. It was late April and it was raining more and more. After a nasty rain storm, I discovered that although we did not live near a body of water, the sewers could not handle the amount of water from the rain. After the final storm, we discovered that the water had traveled back through the driveway and into the garages. When we first moved in the landlord said he would store our winter clothes and other items in the garage. After the water had receded, I discovered that the landlord had placed our boxes on the garage floor — not on the crates along with his property. 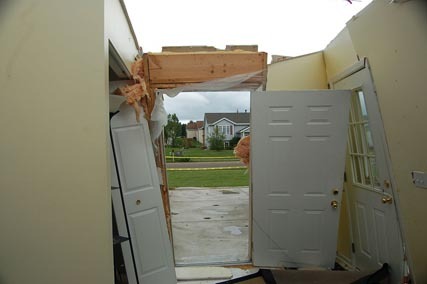 Most of our belongings were damaged. I couldn’t remember what I had in those boxes. I only knew that the damage appeared to be extensive. Because we were renters and not homeowners, we didn’t have flood insurance. I was told to take inventory of our belongings and present the landlord with the information so that he could reimburse us for the loss. It wasn’t easy. We had to take each box and lay the wet contents on the concrete to create a list and take photos. Imagine owning a home and suffering an event that destroys everything. Without inventory how could you present the claim to your insurance company? Taking the time to create an inventory of your home inside and out benefits you. It also makes it easier for the insurance representative handling your claim. It provides proof of your items and helps to determine how much insurance you need. It identifies whether you need special riders or separate policies for valuables such as jewelry, paintings, or antiques. It provides a list of the items you are most likely to forget. Items like computer software, CDs and DVDs, or videotapes; kitchen appliances, utensils and dinnerware. It is a record of the architectural design of your home on the inside and outside. Providing insurance companies with visual details is important for determining cost of replacement. It provides peace of mind for you and insures that your claim will be handled in the best way possible. Find a method that will work for you when creating your inventory. Besides keeping a visual record, try to save receipts or create a descriptive list. It will help when replacing things. Once you’ve completed your inventory, consider placing all information in a safe deposit box at the bank or another location away from your home.